Abia has remained the only State throughout the federation where all her primary school pupils are fed in school every school day. While the federal government feeds children of Primary 1 - 3 nationwide, Abia feeds her pupils from Primary 4 - 6, despite her lean resources, thereby making her the only State of the federation where all her primary school pupils are fed every school day. The infrastructural development of the state and the peace she is enjoying under Ikpeazu have also given massive boost to the governor's objective of attracting foreign investors to the state. The Enyimba Economic City, EEC, which is the governor's prime investment creation and already labeled the "Dubai of Africa" by global investors has already attracted massive foreign direct investment to the extent that the World Bank rated Abia as the third most preferred investment destination for foreign investors after Abuja and Lagos in that order, for the last quarter of 2018. Also, Dr Ikpeazu's commitment to SME development in the State has earned him several awards including one from the federal government even though he is of a different party from the government at the centre. He has been aggressively leading the "Made in Aba" campaign to a huge success to the extent that the military and some paramilitary organisations have ordered for thousands of pairs of booths from Aba entrepreneurs. This is in addition to the fact that the government of Ikpeazu sponsored thirty of the Aba shoe and other leather works manufacturers to China to enhance their skills and acquire the requisite modern technological know-how to improve both quality and quantity of their works. The thirty young entrepreneurs have since returned and are in the process of cascading down their newly acquired knowledge to others back home. This is more so as the governor has acquired the needed advanced shoemaking machines for their use. 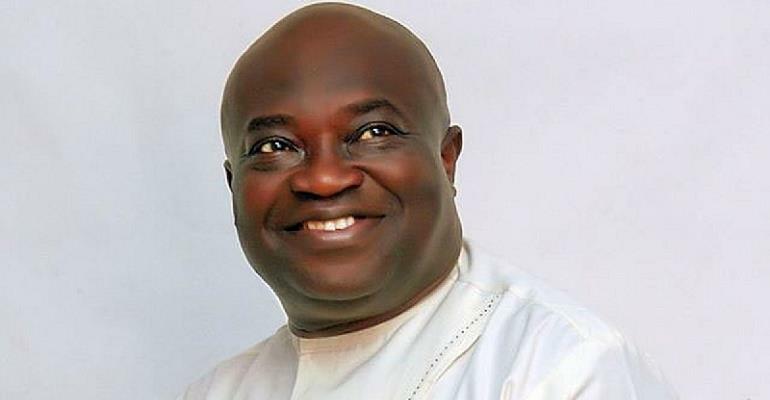 From the foregoing, no objective political observer would be surprised at Ikpeazu's landslide victory at the last governorship poll. His case was even made easier by the Charter of Equity as bequeathed by Abia's founding fathers which stipulates that, for the sake of fairness and peace, the Abia State governorship should be rotated among the three senatorial zones of Abia North, Abia Central and Abia South. Having taken their own turns from 1999 – 2007 (Abia North through Orji Uzor Kalu), and from 2007 – 2015 (Abia Central through Senator T.A. Orji), it was only fair and just that the people of Abia South where Ikpeazu hails from be allowed to complete their own eight years of two tenures as did his predecessors. This is more so given the achievements of the incumbent which have more than justified the Charter. An attempt by anyone to challenge this people-oriented election in court will court the people's anger against such a person and will further diminish the little of what is left of the person's image before the people.